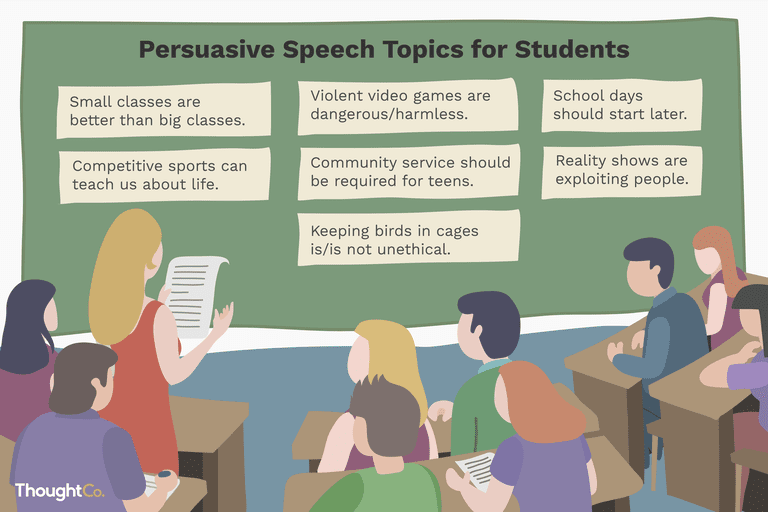 There is a small but important difference between planning a persuasive speech and writing a persuasive essay. First, if you are planning a persuasive speech, you should think about a topic that can engage your audience. For this reason, you may want to consider a few topics before settling on the one that allows you to be more descriptive and entertaining. Another important factor when picking a persuasive speech topic is to choose one that can provoke your audience. If you stir up a little emotion in your audience members, you'll keep their attention. The list below is provided to help you brainstorm. Choose a topic from this list or use the list to generate an idea of your own. Studying martial arts is good for mind and health. Competitive sports can teach us about life. Reality shows are exploiting people. Community service should be required for teens. These qualities make a hero. It's important to grow things in a garden. Violent video games are dangerous. Lyrics in a song can impact our lives. Traveling and studying abroad is positive. You should spend time with grandparents. The laptop is better than the tablet. Religion and science can go hand in hand. All-girl colleges and all-boy colleges are bad. Multiple choice tests are better than essay tests. We should not spend money on space exploration. Open-book tests are as effective as closed-book tests. Security cameras keep us safer. Parents should have access to students' grades. Small classes are better than big classes. You need to start saving for retirement now. Credit cards are harmful to college students. We should have a royal family. We should protect endangered animals. Texting while driving should be illegal. You can go to your college of choice. State colleges are better than private colleges. Private colleges are better than state colleges. We should do away with penny coins. Fast food containers hurt the environment. You can eat and enjoy healthy snacks. You can become a millionaire. Dogs are better pets than cats. You should own a bird. It's unethical to keep birds in cages. Liberal arts degrees prepare better workers. Hunting animals should be banned. Night school is better than day school. Technical training is better than a college degree. Immigration laws should be more lenient. Students should be able to pick their schools. Everyone should learn to play a musical instrument. Grass lawns should be prohibited. We should do away with cars and go back to horse and carriage for transportation. We should use more wind power. We should pay more taxes. We should do away with taxes. Teachers should be tested like students. We should not interfere in the affairs of other countries. Every student should join a club. Homeschooling is better than traditional schooling. People should stay married for life. Smoking in public should be illegal. Students should live on campus. Parents should let students fail. Education makes us happier people. T​he ​death penalty is good for society. We should increase train travel to save the environment. We should read more classic books. Fame is bad for children. Athletes should stay loyal to teams. We should reform our prisons. Juvenile offenders should not go to boot camps. Abraham Lincoln was the best president. Abraham Lincoln gets too much credit. Students should be allowed to have cell phones in elementary, middle, and high school. College student-athletes should be paid for playing. Elderly citizens on fixed incomes should receive free bus rides. Colleges and universities should be free to attend. All American citizens should complete one year of community service. Students should be required to take Spanish classes. Every student should be required to learn at least one foreign language. Marijuana should be legal for recreational use nationwide. Commercial testing of products on animals should no longer be allowed. Felons who have served their time in prison should be allowed to vote once they are free. The drinking age should be bumped up past 21. Replacing fossil fuels with cheaper alternative energy options should be mandated. Churches need to contribute their share of taxes. The Cuba embargo should be maintained by the U.S.
America should replace income taxes with a nationwide flat tax. The Bowl Championship Series, also known as the BCS, should be replaced with a true college football playoff system. Doctor-assisted suicide should be legal. Spammers—people who bombard the internet with unsolicited email—should be banned from sending their junk mail. Every automobile driver should be required to take a new driver's test every three years. Electroshock treatment is not a humane form of therapy. Global warming is not real. 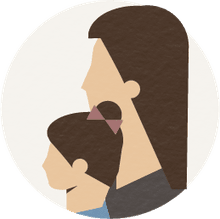 Single-parent adoption should be encouraged and promoted. Gun companies should be held accountable for gun crimes. Human cloning is not moral. Religion does not belong in public education. Juveniles should not be tried as adults. American workers should be guaranteed a three-day weekend by law. Need Inspiration for a Controversial Essay or Speech?